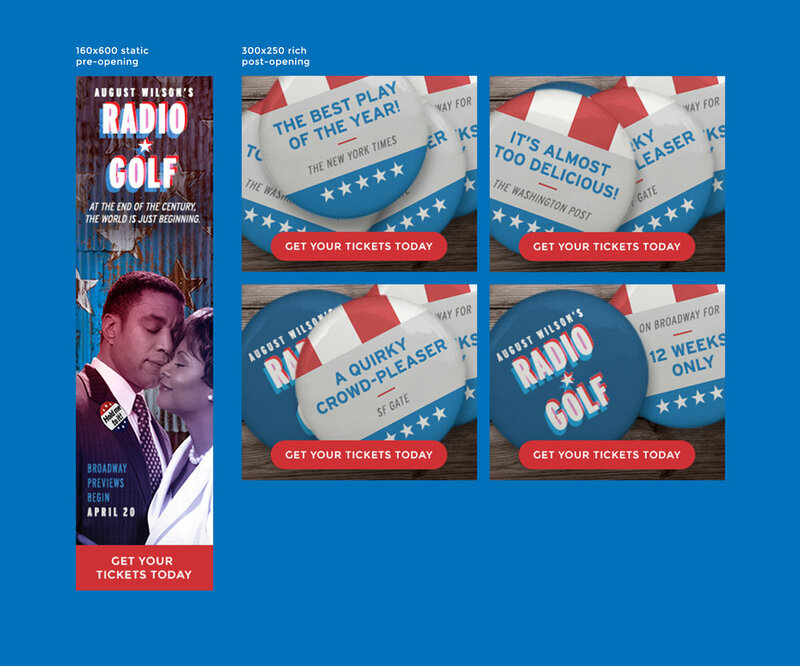 Radio Golf is the final installment in celebrated playwright August Wilson's ten-part series, The Century Cycle. Set in Pittsburgh in the late 1990’s, it's the story of a successful entrepreneur who aspires to become the city’s first black mayor. This is a proposal for a reimagining of the play's title treatment and key art, in addition to a redesign of the official web site and online advertising campaign.